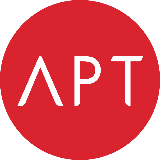 APT is a major hair salon chain and hair school as well as hair learning college in Malaysia. We have provided our professional service in hair dressing and make up to more than 2 million customers since our establishment until present. We believe that the numbers will continue to grow with our effort in training and aspiring new talents in this industry.